There hasn’t been a better time to subscribe to the Nikon Owner magazine. With the newest issue just released, and a seminar, workshop and presentation all coming up within a couple of months, now is a great time to become part of the Nikon Owner experience. As a Nikon Owner member, you will receive a £60 discount on each of these events. So, if you attend just one of them, you will already have saved more than the cost of the entire annual subscription! 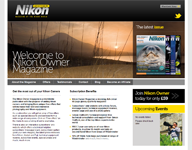 Nikon Owner magazine and interactive website is considered by many to be the world’s number 1 user group for Nikon owners. 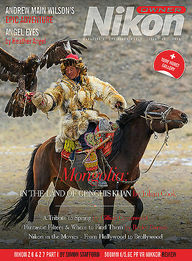 Nikon Owner magazine: a stunning, full-colour 60 page glossy quarterly magazine which is 100% Nikon. Subscribers’-only website with a lively forum, message board, technical equipment reviews, events’ page and use of a photo gallery. 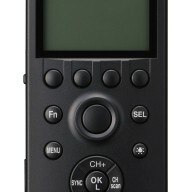 Simon Stafford’s Technical Helpline: free technical consultation and support from Simon Stafford, one of the top Nikon experts in the UK. FREE 3-year warranty on all new Nikon products from Grays of Westminster, or a free 18-month warranty on second-hand Nikon from Grays of Westminster. 10% off Think Tank bags purchased at Grays of Westminster. Special trips: past visits have included a two-week trip to Japan and a personal tour of the Nikon factory, a visit to Nikon Thailand , Angkor Watt, Cambodia. Substantial discounts on events and training sessions such as Mike Maloney’s House of Lords Photographic Workshop, Heather Angel’s Wildlife & Natural History Workshops, Simon Stafford’s Definitive Flash, Portraiture and Macro Seminars, Chris Weston’s Photographic Courses, Michael Eleftheriades’ Panoramic Seminars. 10% off any training courses run by Nikon UK. A range of complimentary meetings and outings organized by local Nikon Owner Groups. You can subscribe online or feel free to email me at gillian.greenwood@graysofwestminster.co.uk with your name, daytime landline and mobile telephone number if you are interested in enrolling in Nikon Owner or call me after 2.00 p.m. Monday to Friday on 020 7828 4925 or for International calls, telephone + 44 (0)20 7828 4925. The cost of an annual subscription to Nikon Owner is currently only £59.